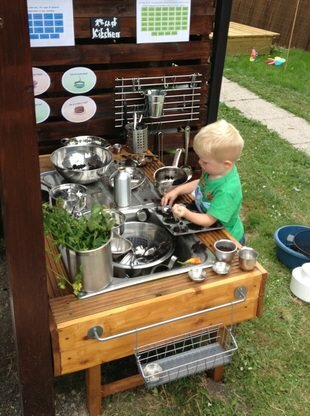 Mud kitchen, also known as an outdoor kitchen or mud pie kitchen, is one of the best resources for little ones to play outside as kids playhouse. 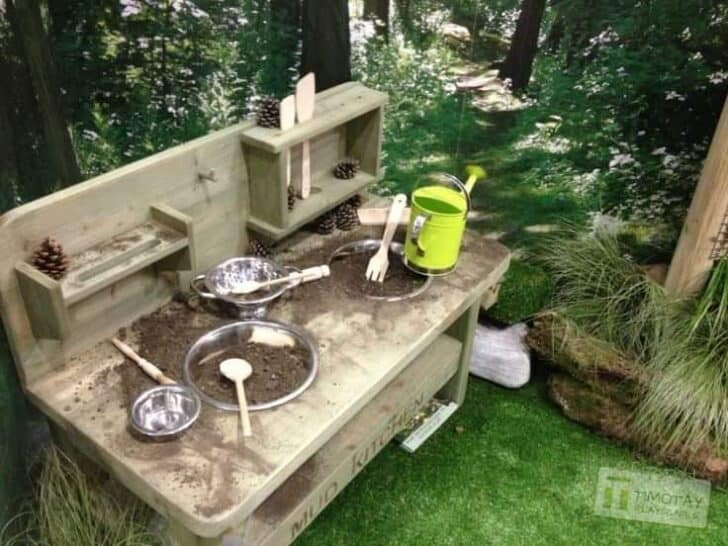 Mixing up a mud pie is perhaps one of the favorite activities of every child; hence creating a mud kitchen is a wonderfully fun activity for children, although a bit messy. 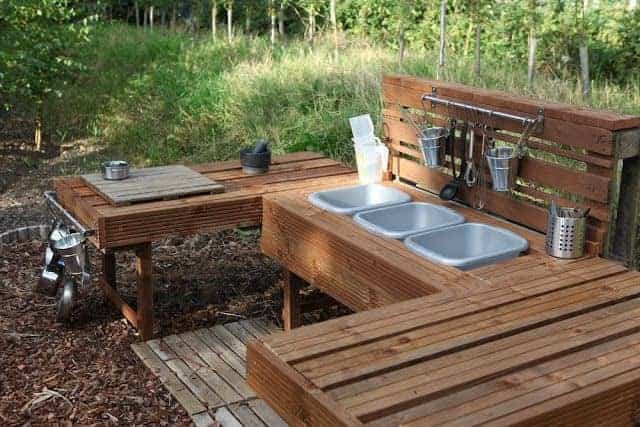 Mud kitchens are in fact great learning opportunities for younger children, helping them to enhance their creative, imaginative as well as sensitive faculties. 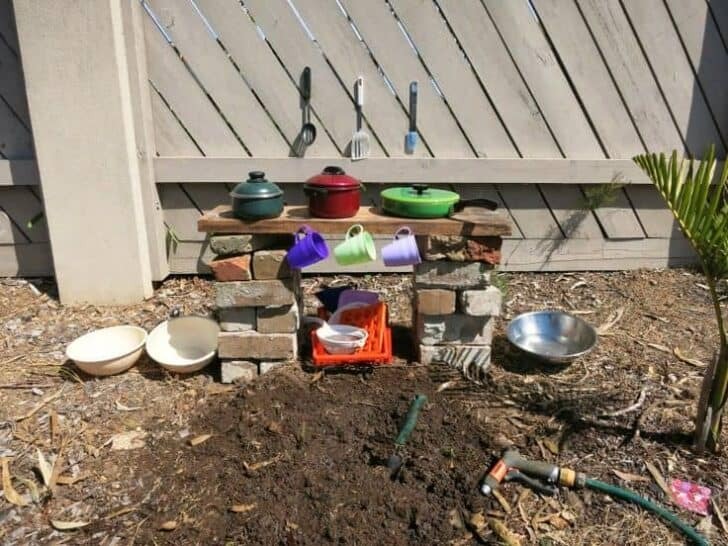 What Can You Do With A Mud Pie? 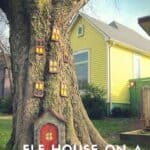 While looking for inspiration on Pinterest in order to make one for my kids, I thought I shall make a post and share it with you ! 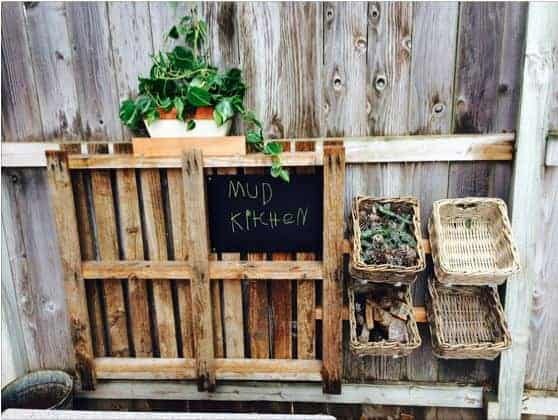 Here are the best kids mud kitchen ideas I found! 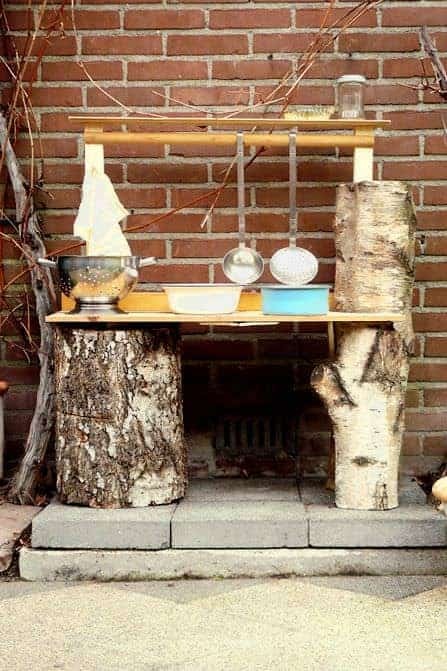 When children are outdoors, they connect with Mother Nature and learn a lot from her. 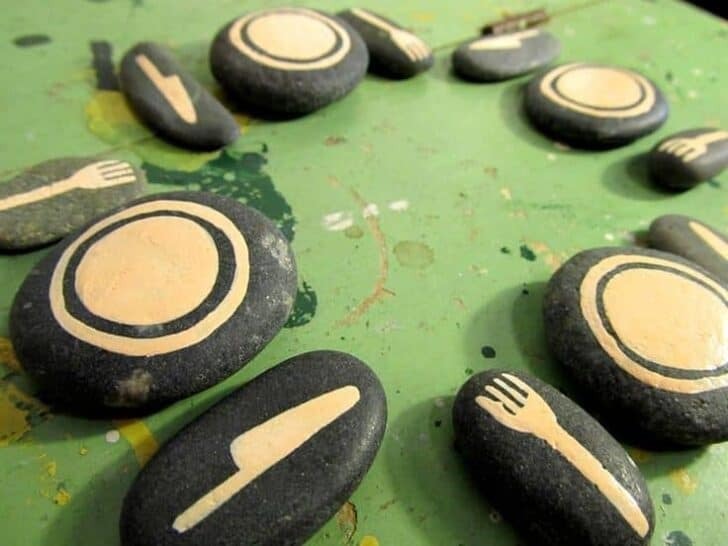 Also, the role of outdoor learning in developing self-esteem is being increasingly recognized, and given this, mud kitchens have become a key activity for kids. 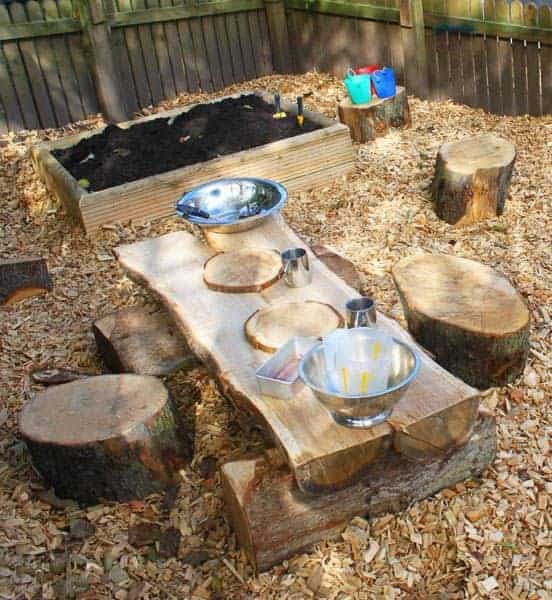 Apart from offering the child the chance to get messy and explore mud, outdoor games like mud kitchens enhance confidence in children, paving the way for more role-play, creativity, communication, and collaboration. 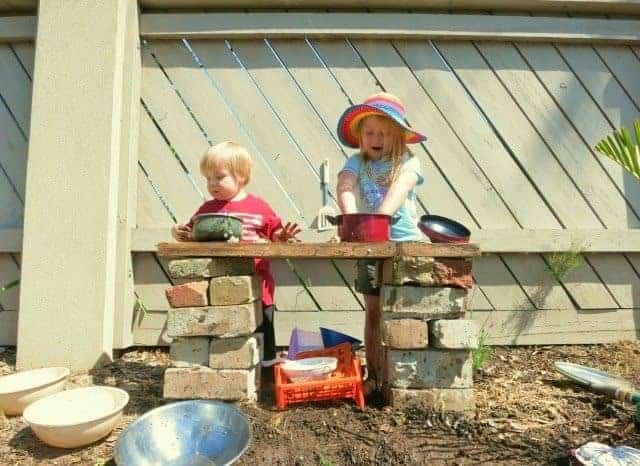 While being involved with a mud kitchen, you will find that children are always contented and merry. 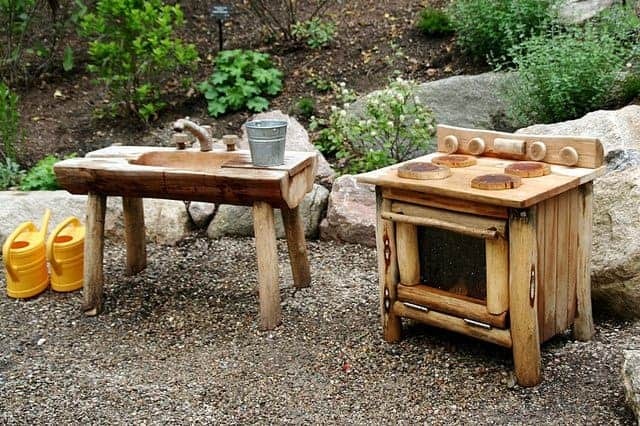 The summer is the most appropriate time for such kitchens. But why limit your child’s enjoyment only to the warm sunny days? 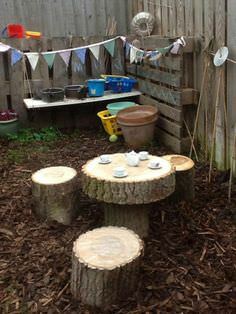 Wearing the appropriate waterproof and warm clothing, this type of outdoor learning can be enjoyed throughout the year. 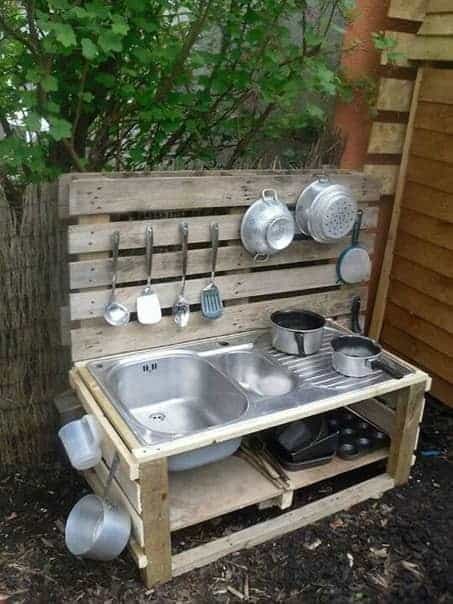 A mud kitchen can be positioned in any outdoor area. However, it would be good to consider the following things. Needless to say, the primary ingredient required is mud. 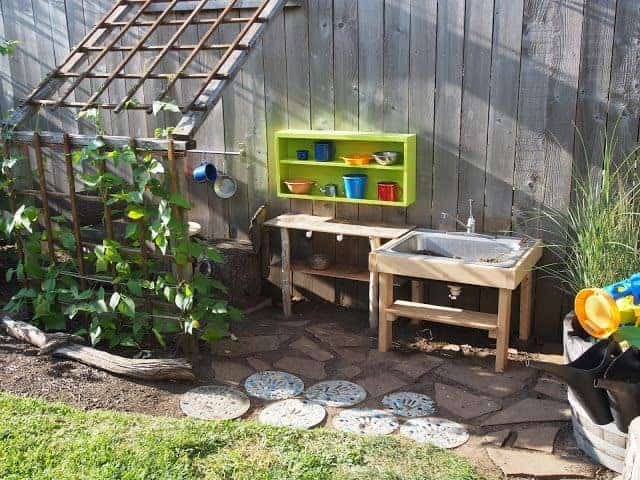 Utilizing bagged topsoil, gravel, sand compost and water, children can make their own mud in a range of colors, texture, and consistencies. Take care to see that the soil is not contaminated by animal feces because it might lead to health hazards. 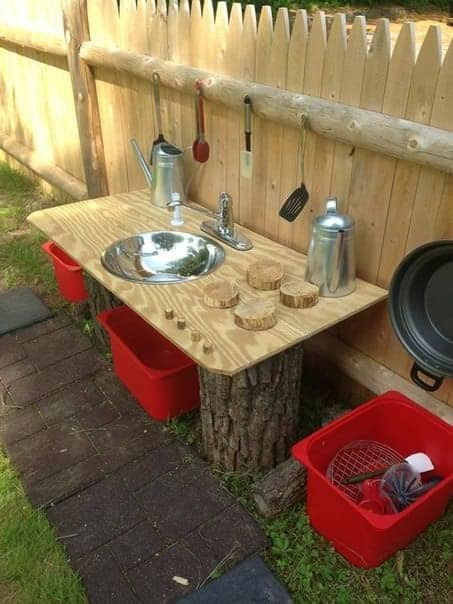 Apart from mud, you will also need waterproof clothing, an outdoor kitchen unit, containers, pans and pots for mixing, as well as kitchen utensils. 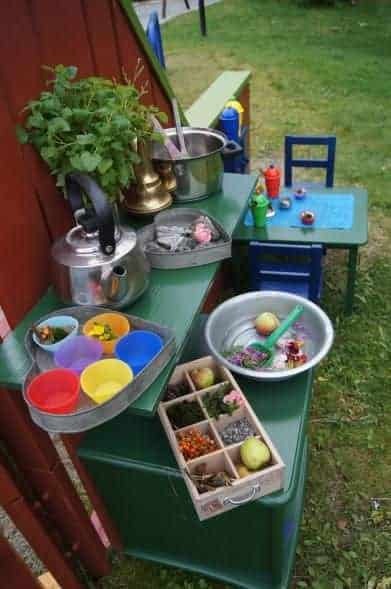 For decorating mud pies, herbs, flower petals and grass can be roped in. Bottomless construction helps with drainage and allows you to adjust sand depth. Updated on 2019-04-20 - Images from Amazon API. Logos are trademarks of Amazon.com, Inc. or its affiliates. They all look great but if I was a Kid I would want to see more Mud!!! Those look amazing! 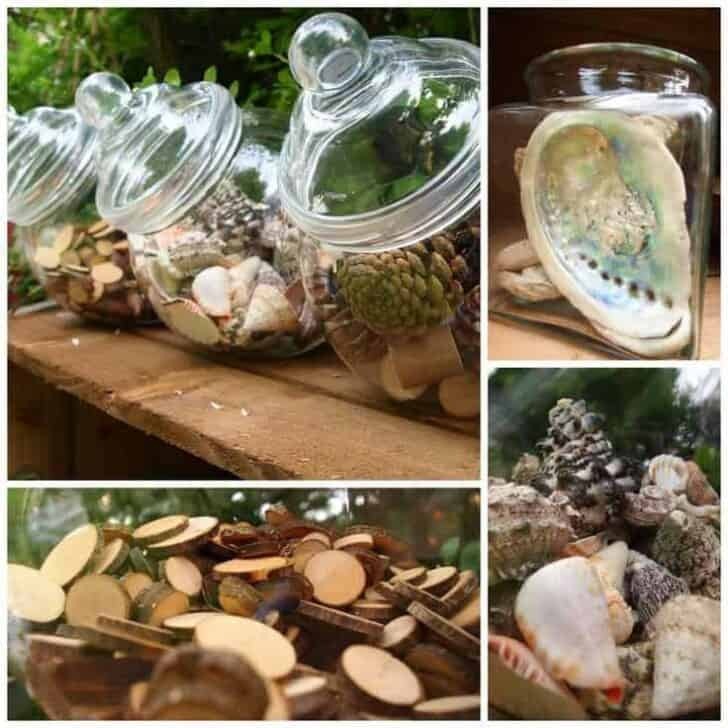 I love that wooden stove and the jars full of pine cones. Thanks for sharing! Love the one with the wheel, looks totally comfortable and safe to sit on. 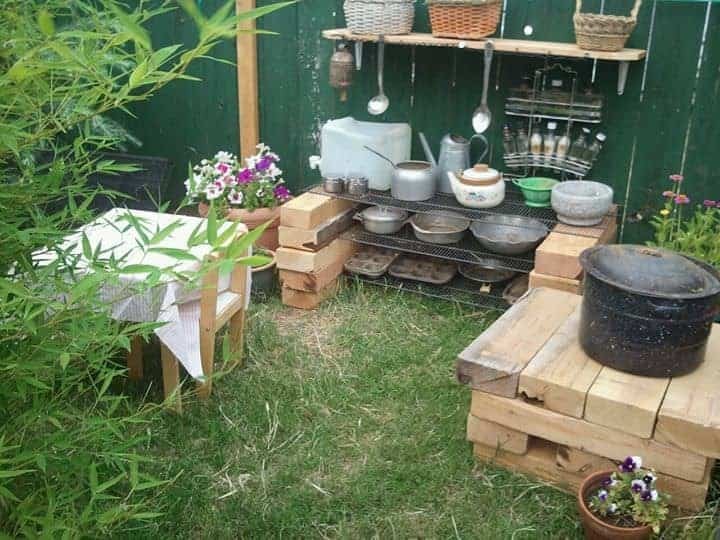 If i had a garden i would definitely try it out. Thanks for the sharing. 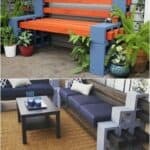 These are great examples. 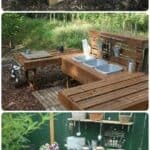 I also wanted to build a mud kitchen for my children but become overwhelmed-analysis paralysis?- when looking at all the beautifully-designed kitchens. 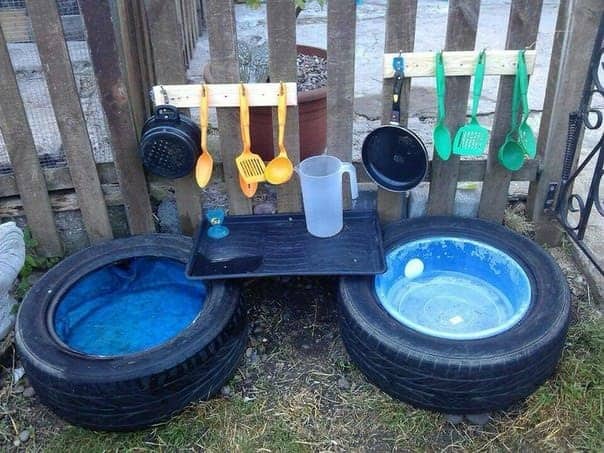 I ended up starting super simple and it has provided years of enjoyment for my children!